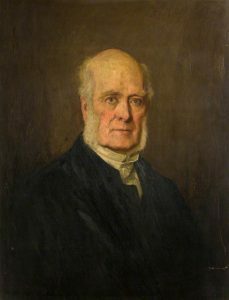 An important and influential minister whose career covered an interesting period for the church in Scotland, and whose interests, including temperance and phrenology, reflected concerns and trends in 19th century society. 43 South Tay Street, Dundee, c.1850-1852. Union Terrace, Constitution Road, Dundee, c.1853-1859. Heathfield House, Hawkhill, Dundee, c.1860-1868. 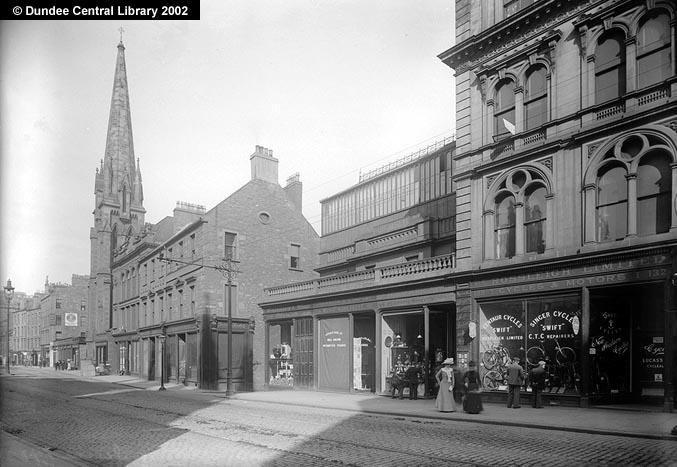 2 Park Place, Dundee, c.1869-1877. 28 Chalmers Street, Edinburgh, c.1878-1888. Church of Scotland until the Disruption in 1843, then the Free Church of Scotland. Editor, Scottish Guardian, The Presbyterian and Free Church Warder. Dundee Auxiliary of the Scottish Reformation Society, c.1853-1854. Weekly and Visiting Committees, Dundee Royal Infirmary, c.1858-1859. Householder Representative, Free Library Committee/Free Library, Museum and Picture Gallery Committee, Albert Institute, c.1871-1877. Honorary Board of Directors, Scottish Widows Fund (Life) Insurance, c.1874-1881. Honorary President, Dundee Boys and Girls Religious Association, c.1874-1877. Dundee Board, Anglo-Indian Christian Union, c.1874-1877. Clerk of the Free Church Synod of Angus & Mearns, c.1848-1877. Clerk of the Free Church Presbytery of Dundee, c.1848-1877. Convener of the Home Mission Committee of the Free Church of Scotland, 1863-1873. Moderator of the General Assembly of the Free Church of Scotland, 1866. Junior Clerk, General Assembly of the Free Church of Scotland, 1868. Joint Convener of the Sustentation Fund of the Free Church of Scotland, 1877-1888. Convener, Church and Manse Building Committee of the Free Church of Scotland. Elected Member, Dundee School Board, c.1873-1876. Senior Clerk, General Assembly of the Free Church of Scotland,1884-1888. Subscriber no. 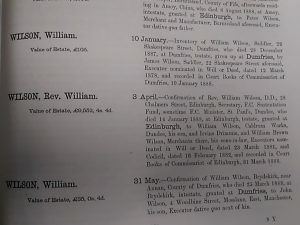 245 – James F White – brother-in-law of Reverend William Wilson. Subscriber no. 209 – George Stephen – Wilson officiated at his daughter’s wedding. Subscriber no. 18 – Edward Baxter – Wilson delivered a series of lectures on “The Evidence of Christianity” suggested by Edward Baxter. St Paul's Free Church, Nethergate, Dundee. William Wilson was born in Westruther, Berwickshire in 1808, the son of Andrew Wilson, shepherd and Agnes Rutherford. He was educated at Westruther School before going to Edinburgh University in 1825. He was licensed in 1833 in Lauder and moved to Glasgow as a parochial missionary, working in the Gorbals. He was called to be minister at Carmylie in 1837, and while there he accepted the editorship of the only church newspaper, the Scottish Guardian. He married a sister of J.F. White of Balruddery in 1840. After the Disruption he left the Church of Scotland and joined the Free Church. He was forced to hold services for his fellow Free Church adherents in whatever accommodation he could find, including barns and even the open air. Having left his manse he was provided with rent free accommodation in Westhaven by one of his supporters. 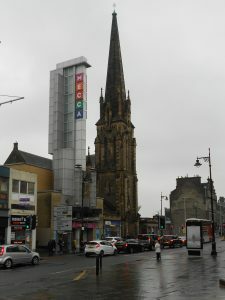 In 1848 he was appointed the minister of the Mariners' Church, which subsequently became St. Paul's Free Church, Dundee. He built up a large congregation and a new church was erected in 1852. He was appointed as Clerk to the Synod of Angus & Mearns and the Presbytery of Dundee soon after coming to the town. Wilson and his wife had a family of eight, the first being born at Carmyllie in 1841 and the last in Dundee in 1855. According to local newspapers it is reported he took an active part in the study of Phrenology and gave lectures on this subject. His wife died, aged only 41 in 1860, leaving him with eight children under twenty at Heathfield House, with two female servants to assist him. In 1866 Rev. Wilson was appointed the Moderator of the General Assembly of the Free Church of Scotland. In 1868 he was appointed as one of the principal clerks of the assembly and was also the convenor of a number of its committees: Committee of Principles of the Free Church, Committee on Temperance, Committee of the Home Mission and the Committee of the Church and Manse Building Fund. His alma mater, Edinburgh University, conferred the degree of Doctor of Divinity on him in 1870. 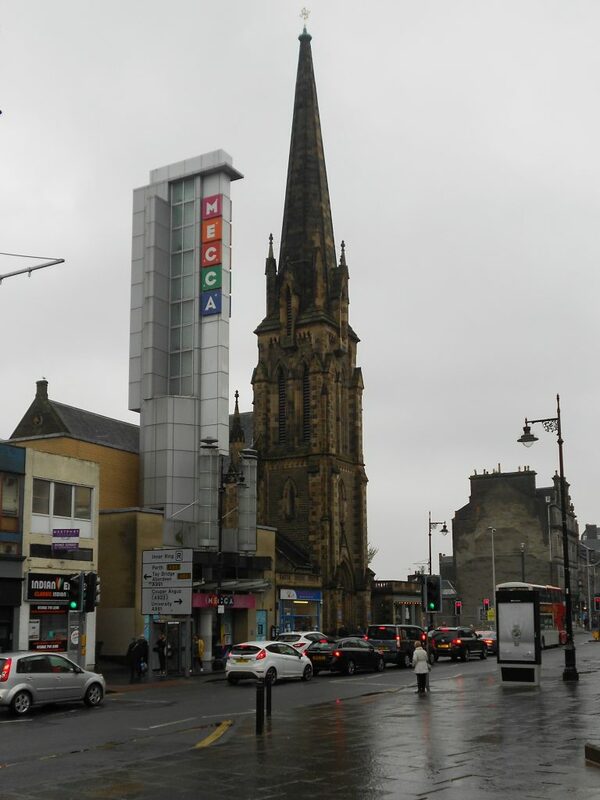 Despite his increasing responsibilities at a national church level he remained active in Dundee. The newly-built Wilson Territorial Free Church Mission in the Overgate was named after him in 1866 and employed a missionary, a bible woman, a schoolmistress and her assistants, plus a housekeeper. He also showed his continuing support for the Albert Institute by becoming a householder representative on its Free Library, Museum and Picture Gallery Committee. In 1877 he accepted the position of Joint Convener of the Free Church’s Sustentation Fund which necessitated a move to Edinburgh. He was made the senior clerk of the assembly in 1884. He remained Minister Emeritus of St. Paul’s for the rest of his life and in 1887 returned to celebrate the jubilee of his ministry at Lamb’s Temperance Hotel in Dundee, where he was presented with a silver coffee service. The 1881 census shows the family had moved to Edinburgh staying at 28 Chalmers Street in the parish of St Cuthbert with his three unmarried daughters, where the Rev. Wilson died in 1888. Two of his sons had been in business in India and had pre-deceased their father there. His interest in the Anglo-Indian Christian Union may be traced to their move to India. His obituary includes the detail that in 1886 whilst walking in Lauriston Road, Edinburgh, he was violently attacked by a bull and sustained severe injuries, including a broken collarbone. This caused a deterioration of his health and by November 1887 he was housebound. At his death Wilson left an estate valued at £9,552 4s. 4d. 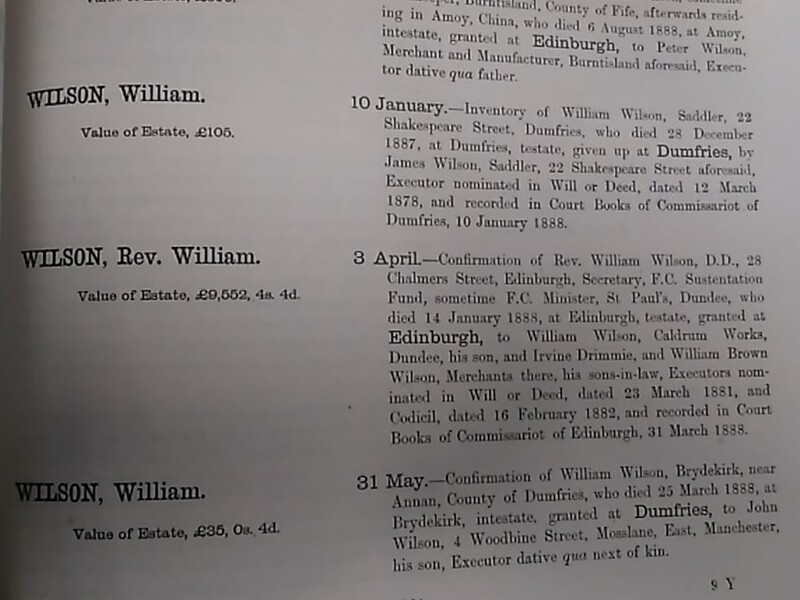 and his executors were his son, William Wilson, Caldrum Works, Dundee and his two sons-in-law, Irvine Drimmie and William Brown Wilson, both merchants in Dundee. Scott, Hew. (1925) Fasti Ecclesiae Scoticanae, Vol V, Synods of Fife and of Angus and Mearns. Edinburgh: Oliver & Boyd. Old Parish Records. Carmyllie. Marriage. 276/30 154. ScotlandsPeople website. Statutory Registers. Dundee Second District. Death. 282/2 229. ScotlandsPeople website. Old Parish Records. Carmyllie. Baptism. 19 September 1841. 276/30 70. ScotlandsPeople website. Old Parish Records. Panbride. Baptism. 28 July 1843. 316/30 102. ScotlandsPeople website. Old Parish Records. Panbride. Baptism. 1 May 1845. 316/30 114. ScotlandsPeople website. Old Parish Records. Carmyllie. Baptism. 22 August 1847. 276/30 84. ScotlandsPeople website. Old Parish Records. Dundee. Baptism. 19 January 1849. 282/190 351. ScotlandsPeople website. Old Parish Records. Dundee. Baptism. 17 December 1850. 282/200 37. ScotlandsPeople website. Old Parish Records. Dundee. Baptism. 1 October 1853. 282/200 165. ScotlandsPeople website. Ewing, Rev. William. (1914) Annals of the Free Church of Scotland, Vol. I. Edinburgh: T. & T. Clark. Leng, John, & Co. (1889) Dundee Year Book, 1888. Dundee: John Leng & Co. Local Studies, Central Library, Dundee. 1851 Census Scotland. Dundee. 282 ED73 p.28. Ancestry website. 1861 Census Scotland. Liff & Benvie, Dundee. 282/2 ED31 p.9. Ancestry website. Dundee Directories, 1869-1877. Local Studies, Central Library, Dundee. 1881 Census Scotland. Edinburgh, St. Cuthberts. 685/4 ED81 p.9. Ancestry website. Calendar of Confirmations and Inventories, 1888. Local & Family History, A.K. Bell Library, Perth. Dundee Directories, 1871-1877. Local Studies, Central Library, Dundee. Dundee Directories, 1874-1881. Local Studies, Central Library, Dundee. Dundee Directories, 1874-1877. Local Studies, Central Library, Dundee. Dundee Directories, 1853-1877. Local Studies, Central Library, Dundee. Dundee People's Journal, Saturday, 8 January 1859. British Newspaper Archive website. McCraw, Ian. (2002) Victorian Dundee at Worship. Dundee: Abertay Historical Society. University of Dundee Archive Services. Edinburgh Evening News, Saturday, 14 January 1888. British Newspaper Archive website. The information above about William Wilson has been collated from a range of digital and hard copy sources. To the best of our knowledge it is correct but if you are relying on any information from our website for the purpose of your own research we would advise you to follow up the sources to your own satisfaction. If you are aware of an inaccuracy in our text please do not hesitate to notify us through our Contact page.